At Raffles Interact’s Dine in the Dark event last year, a representative from SAVH was guided onstage by a friend. Standing alone in the spotlight, the blind man said something that I still remember to this day. 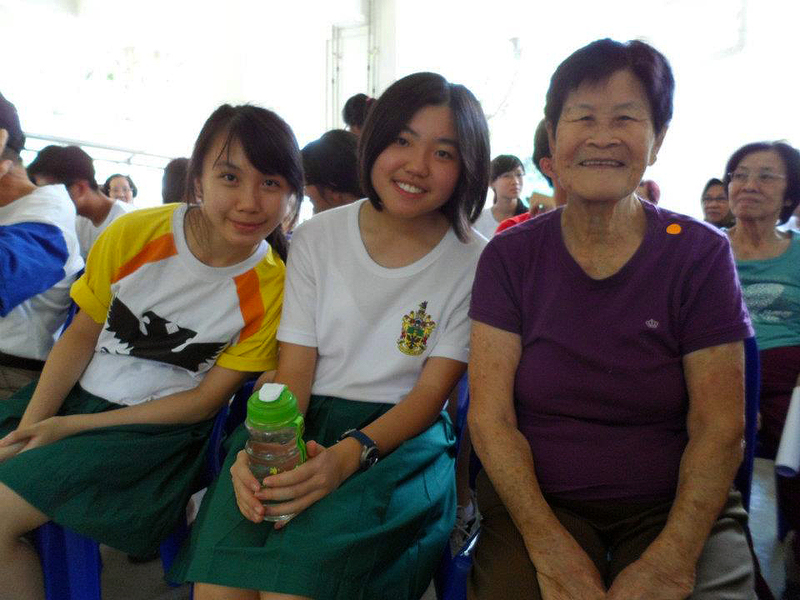 This, I think, is what Raffles Interact is all about. 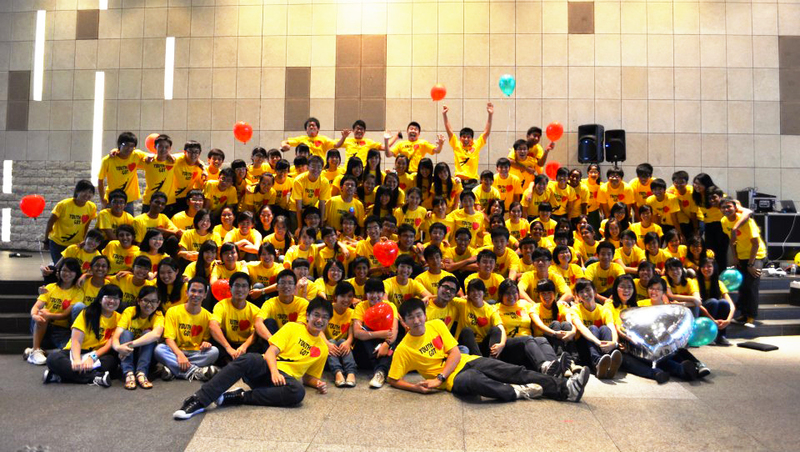 If you’re wondering why we’re using gold, next year marks exactly 50 years of Raffles Interact – our golden anniversary! 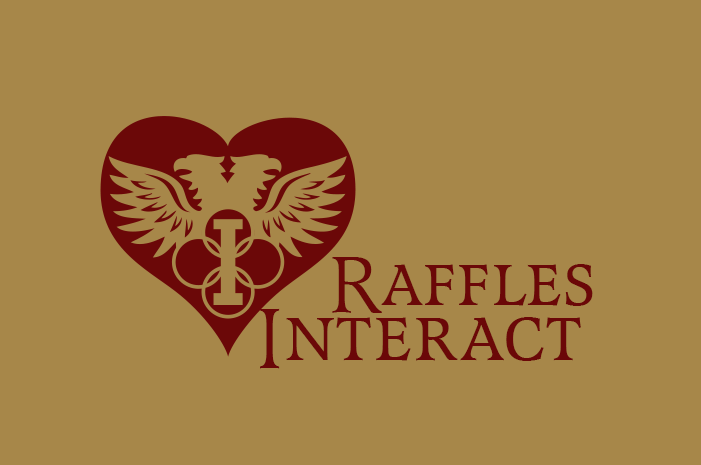 When people think of Raffles Interact, typically the first thing that comes to mind is community service. Yes, it is essentially what we do, but there’s whole lot more to it. As an Interactor, I’ve sat down to a service club-organized dinner with DPM Teo Chee Hean in attendance, and not long after walked down the corridors of a ward for seriously ill children. As a club, we work with the disabled, the disadvantaged, and the dispossessed – so long as there is a need to serve, we will. 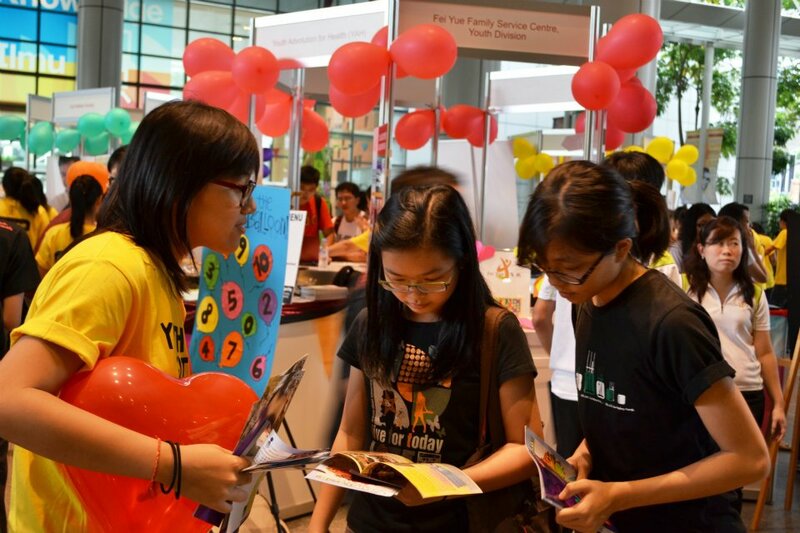 As an Interactor, you will be going for weekly service at our 5 service centers with various Voluntary Welfare Organizations (VWOs) – from tutoring children at RI itself to spending time with old folks at Ang Mo Kio to helping out with classes at MINDs in Woodlands. We are always looking to expand to more service centers too, so that Interactors can go for the service they’re most interested in. Other than regular service, we also have several big events held annually – YOUth Got Heart, for example, is an event for youths to check out and volunteer at various VWOs, attracting more than 10,000 visitors since we first began. These events are not only means to serve more people, they are also chances for Interactors to gain experience in organizing and leading large-scale events. Visitors learning more about a VWO at Youth Got Heart 2012. We don’t just do all our work locally, either – after all, Interact stands for International Action! That means international service is a key part of the experience. 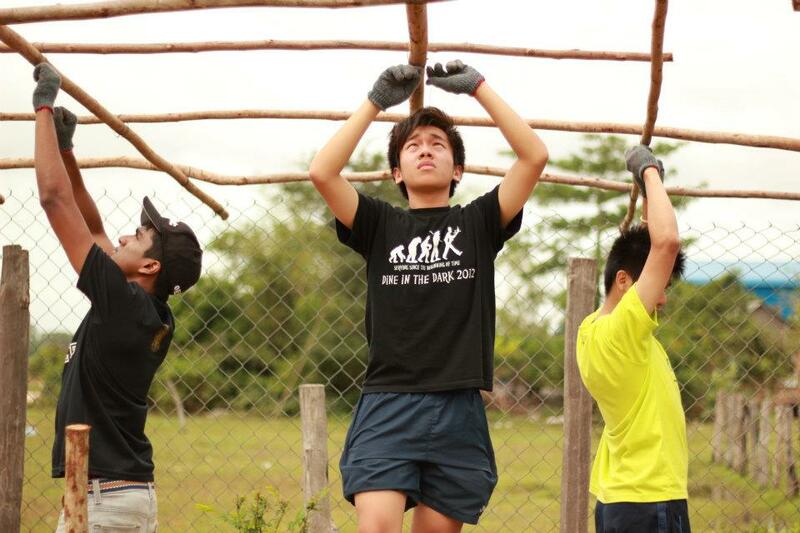 Every year, we organize an International Understanding trip to do service overseas. 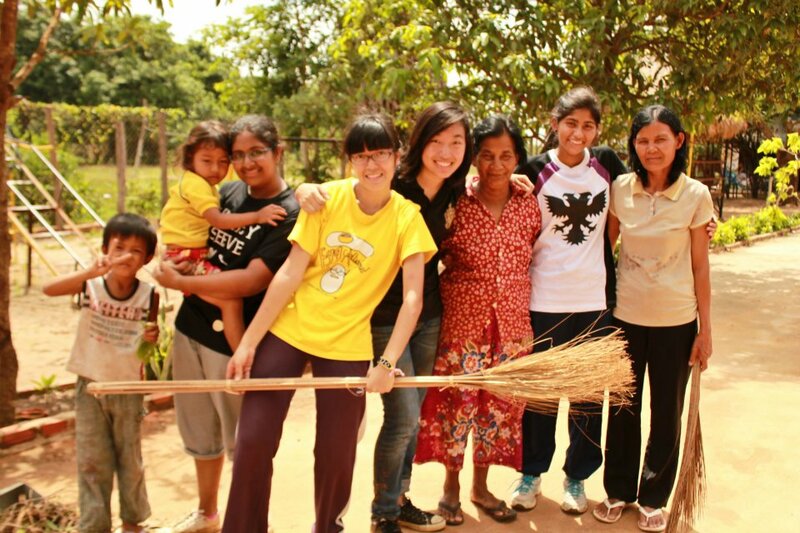 In June, Interact went to Cambodia for a week to serve at UNACAS, or the Orphanage in Phnom Penh. With the locals and children at UNACAS, the Unaccompanied Children’s Association. Building infrastructure for the people of UNACAS. Amanda and Anabelle at service during Interact camp. In fact, the impact of Interact on our lives is such that many of our alumni continue to participate in community service later in their lives. I can certainly attest to that, as my father was from Raffles Interact! Ho Lye Sum, another alumni who was General Manager for Dell Singapore and is now an entrepreneur, came back as our Guest-of-Honour at our Installation (think of it as an investiture), telling us about his time in Interact and how it was invaluable in shaping his own values. So what are you waiting for? We’re looking for anyone who wants to serve the community, so long as you have the will, the drive, and most importantly, the heart. Ask me any questions at my email, register for updates and applications, or just like our Facebook page for general updates on service opportunities and more!